SanDisk released their new Memory Zone app yesterday as a fantastic way for everyone to backup, restore and manage their phone’s onboard, microSD cards and favorite cloud storage services. It’s free to install, is a breeze to browse, and should be a staple on your phone going forward. 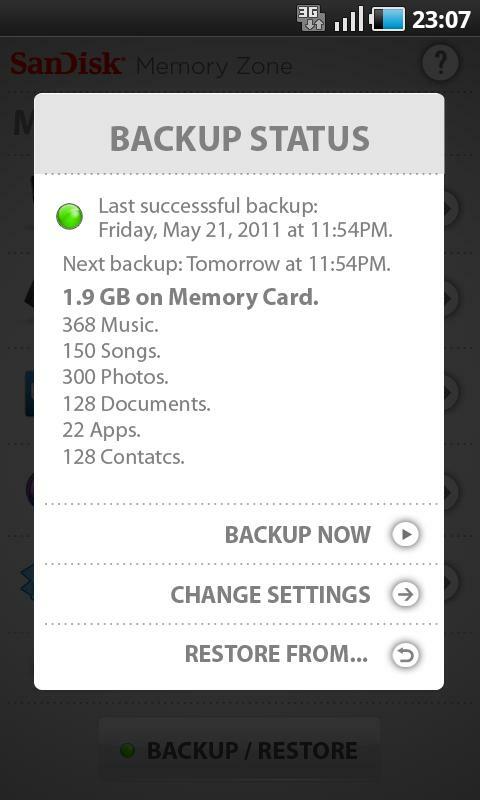 You can backup all settings to your current SD card or even choose a cloud storage option to make it safe forever. To get the full overview, hit up the video after the break. HTC, LG, Motorola and Samsung Team Up with Isis for NFC Payments, So Much for Google Wallet?